The Executive Committee of the National Economic Council of the Government of Bangladesh approved the double laning of the railway track from Khulna to Darshana. Darshana, a rail transit point, lies on the Bangladesh-India border. Spanning around 217 kilometers, the double rail line will establish rail connectivity with India, with links toward Bhutan and Nepal. It will also provide access to Mongla Port. Bhutan Prime Minister Tshering Tobgay met Ms. Kanokpan Lao-Araya, incoming Country Director, Asian Development Bank (ADB) Bhutan Resident Mission, and Mr. Hun Kim, Director General, ADB South Asia Department in Thimphu, Bhutan, after presentation of Ms. Lao-Araya's credentials to Bhutan Minister of Foreign Affairs, Mr. Damcho Dorji. ADB is upgrading Bhutan from a representative office to full-country operations. The National Council of Bhutan voted against ratification of the Bangladesh-Bhutan-India-Nepal (BBIN) Motor Vehicle Agreement (MVA) at a session held on 15 November 2016. Council members delivered thirteen “no” votes, two “yes”, and five abstentions. A new Agreement on Trade, Commerce, and Transit between India and Bhutan, enabling a free trade regime between the two countries, and providing for duty-free transit of Bhutanese merchandise for trade with third countries, has been approved by the Cabinet of India, in a meeting chaired by India Prime Minister Narendra Modi. As part of the Government of India’s Act East Policy, Indian Railways is set to provide a rail link to Bhutan to boost ties with its South Asian neighbors. 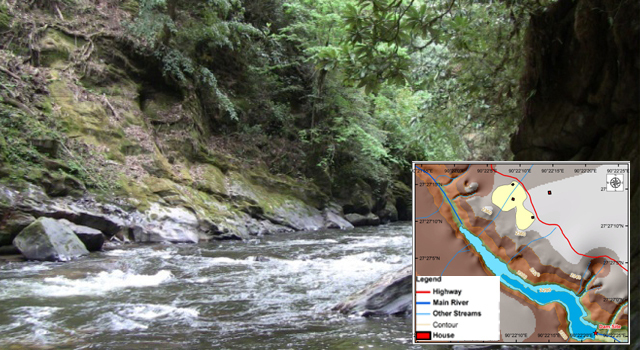 Feasibility studies have been conducted for extended links between Kokrajhar-Gelephu, Rangiya-Samdrupjonkhar, Banarhat-Samtse, and Pathsala-Nanglam. India’s Northeast Frontier Railway has also undertaken survey work for rail connectivity to Nepal and Bangladesh. Bhutan's National Assembly ratified the Bangladesh-Bhutan-India-Nepal Motor Vehicle Agreement (BBIN MVA) on 21 June 2016 with 28 votes. 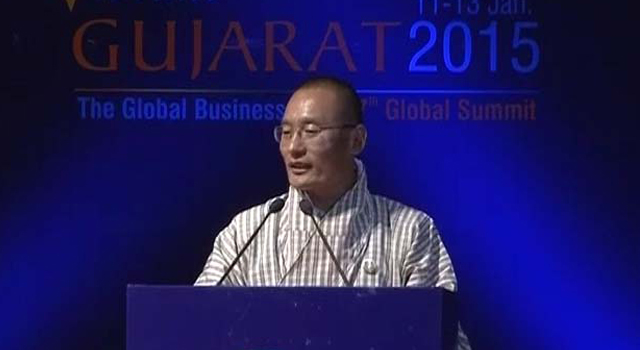 Bhutan Prime Minister Tshering Tobgay reiterated that the BBIN MVA would regulate cross-border movement of vehicles in the subregion through formulation of protocols. Implementation of the BBIN MVA will help strengthen Bhutan's existing ties with India, and boost cooperation and integration within the subregion. The Bhutan Standards Bureau received accreditation from the National Accreditation Board for Certification Bodies, India to certify three products, including grade 43 ordinary Portland cement, bitumen emulsion, and thermomechanically treated reinforcement bars, for export. This reduces technical barriers to trade, facilitating free movement for these three types of products across Bhutanese borders. Bhutan is upgrading three domestic airports—Bumthang, Gelephu, and Yonphula—to enhance their capacity, safety, and efficiency. The Asian Development Bank is providing additional financing for this SASEC project, to further strengthen safety and security, and improve passenger convenience and service at these airports. 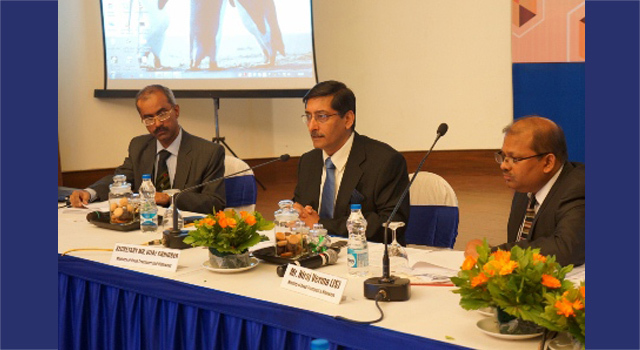 A workshop on harmonizing standards in the South Asian Association for Regional Cooperation (SAARC) region was held by the South Asian Regional Standards Organization (SARSO) in Bhutan. Mr. Tashi Wangchuk, Deputy Director, SARSO, emphasized the importance of Bhutan Standards Bureau's technical committees participating in SARSO's Sectoral Technical Committees. Bhutan's Department of Revenue and Customs observed the International Customs Day at the Regional Revenue and Customs Office, Samtse. Customs officials with outstanding contribution to the organization were awarded World Customs Organization Merit Certificates. Senior officials from the Ministry of Finance, border enforcement agencies and cross-border Customs officials from neighbouring towns of India joined the celebration. A seminar organized by Kalinga Motor Sports, with support from the Governments of Bangladesh, Bhutan, and India and funding from the Asian Development Bank, discussed the importance of the Bangladesh-Bhutan-India-Nepal (BBIN) Motor Vehicle Agreement for regional connectivity and the recent decision of the Parliament of Bhutan to defer its endorsement. The Ambassadors of Bangladesh and India spoke on the occasion, calling on Bhutan's Parliament to endorse and ratify the agreement. Bhutan Finance Minister Namgay Dorji presented the Customs Bill 2015 at the country's National Assembly on 5 November. The Bill aims to modernize Bhutan's Customs administration and was drafted in accordance with standards of the Revised Kyoto Convention. Aligning Bhutan with international standards and practices will lead to economic and non-economic gains, such as increased transparency and predictability of Customs actions, as well as added revenue. A meeting between Bhutan Tourism Board officials and India's State Tourism Secretary Ajit Ranjan Bardhan discussed ways to improve links between Bhutan and India, including introducing an online entry permit system for Indian visitors and easing immigration checks. Bhutan agreed to consider providing online permits by 2016, said Secretary Bardhan. West Bengal Chief Minister Mamata Banerjee encouraged private sector delegates to explore a business corridor concept for tourism, small industries and joint venture projects at an India-Bhutan Business Conclave, held in Bhutan. Making West Bengal a gateway to the North East will open up further business opportunities for Bhutan. West Bengal Chief Minister Mamata Banerjee and Bhutan Prime Minister Tshering Tobgay renewed their commitment to pursue the Golden Jubilee Railway line from Hasimara, India to Bhutan during the Chief Minister's call to Prime Minister Tobgay on 5 October 2015. Both sides agreed to review the railway project, and examine ways to resolve land-related issues. Representatives from South Asian Association for Regional Cooperation (SAARC) member countries expressed the need for a regional standard and certification system in Thimphu, Bhutan to create opportunities for farmers and exploit market potential in the region. Bhutan will soon export organically grown products to neighboring SAARC countries. Asian Development Bank Vice President Wencai Zhang reaffirmed ADB’s continuous commitment to Bhutan highway projects and the development of the country's wider road sector in discussions with Bhutan Prime Minister Tshering Tobgay and Finance Minister and ADB Governor Namgay Dorji focusing on current and future ADB operations in Bhutan during his visit to Thimphu on 15 June. Improvements in Bhutan's infrastructure will help improve and diversify the economy. The India-Bhutan Bilateral Trade and Transit Meeting was held in Thimphu, Bhutan from 25-27 May 2015 to create a trade value chain between India and Bhutan and remove bottlenecks impeding trade flows. Such trade and transit talks are held regularly between the two countries and strengthen bilateral trade cooperation. The meeting resolved some pending issues from the January 2014 meeting. Sri Lankan President Maithripala Sirisena, accompanied by several Cabinet Ministers, engaged in bilateral talks with the visiting Prime Minister and Bhutanese delegation. Both countries pledged to enhance bilateral cooperation and establish air links between Paro and Colombo. The Better Business Council High-Level Workshop on Improving National Competitiveness was held in Thimphu, Bhutan on 23 March 2015, providing a platform for Bhutan to learn from the experience of the Republic of Georgia and the Republic of Korea (ROK) how to improve their national business climate and international trade. Works to improve road connectivity and facilitate trade between Bhutan and India are set to begin soon along the Phuentsholing-Jaigaon border. An Asian Development Bank-financed project under the South Asia Subregional Economic Cooperation (SASEC) program will construct a bypass road from Jaigaon, India to Pasakha in Bhutan and include a mini-dry port in Phuentsholing. A land customs station will also be constructed in Pasakha to monitor the bypass road. The Department of Revenue and Customs have led a series of two-day Sensitization Workshops on the Revised Kyoto Convention (RKC) in Bhutan during 6-22 October 2014 to brief Customs officials on the key principles of the RKC. Bhutan formally became the 96th contracting party to the RKC – the World Customs Organization international standard for an efficient and effective Customs regulatory procedure – on 15 September 2014. The Kingdom of Bhutan acceded to the International Convention on the Simplification and Harmonization of Customs Procedures (Revised Kyoto Convention [RKC]) on 15 September 2014. It is the ninety-sixth contracting party to the RKC. Bhutan's accession will enter into full force on 15 December 2014. 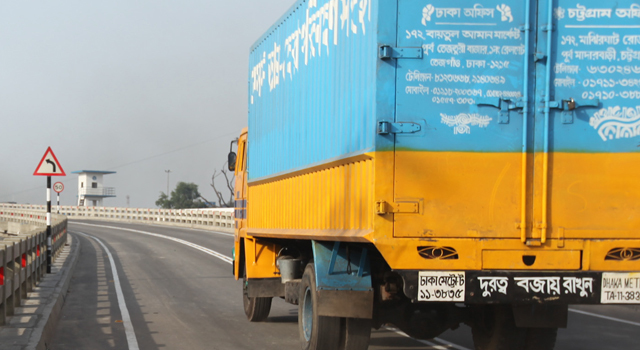 In follow-up to the limited pilot run of United Nations Economic and Social Commission for Asia and the Pacific's Secure Cross-border Transport Model, officials from India and Bhutan Customs administrations participated in trial runs of 80 vehicles along the Kolkata-Jaigon-Phuentsholing transit corridor between Bhutan and India on 1—5 September 2014. China initially opened the railway to Tibet’s capital, Lhasa, in 2006 as part of its national plan to boost development. The railway is envisioned to be linked to Rasuwagadhi, Nepal through the Shigatse-Kerung stretch. Rasuwagadhi is about 500 kilometers from Shigatse. There are plans to extend the railway linking Tibet with the rest of the country during 2016-2020 to two separate points on the border of Nepal and on the border of India and Bhutan. Mr. Nim Dorji, Joint Secretary, Ministry of Finance represented the Royal Government of Bhutan at the official launch of activities under a $1.5 million technical assistance project financed by the Japan Fund for Poverty Reduction (JFPR). The capacity development technical assistance will support trade facilitation initiatives carried out under the South Asia Subregional Economic Cooperation (SASEC) Trade Facilitation Program.